The Autowatch 346RLi-Blue security system is the ideal for the customer who wants a full featured security system,remote keyless entry and does not require a Thatcham category 1 approved System.The Autowatch 346 RLi Blue system includes a vivid blue dash-mount warning LED (alarm status light) and a blue LED's in both remotes. The 346RLi-Blue has full on-board central locking and immobilisation, with a useful anti-key theft option. 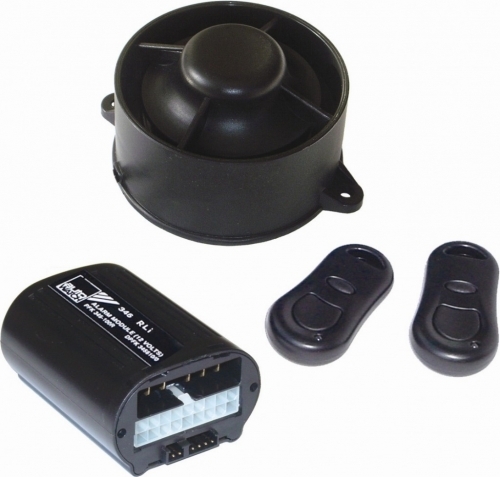 Autowatch 346RLi Blue A basic alarm with ultrasonic sensors.